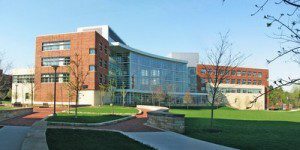 The Penn State University Smeal College of Business full-time MBA is a two year program, held exclusively at the State College campus in central Pennsylvania. Prior to the official August start date, students in the program go through a series of preliminary career prep services and onboarding tasks, assisting the career streamline for future MBA graduates. Each year of the program consists of four different modules, with Year One being comprised mostly of core course work, and Year Two structured around electives. Year Two features the bulk of a student’s elective courses. The first fall semester of Year Two begins with one week negotiations practicum. There are 58 students currently enrolled in the Smeal full-time MBA Class of 2020. These students are, on average, 34 percent female, 14 percent U.S. underrepresented minority, and 30 percent international. Students join the program with an average GMAT score of 657, a GPA of 3.4, and 5.1 year of previous professional work experience. The mean base salary of Smeal full-time MBA graduates is $106,100, with a mean signing bonus of $20,306. An estimated 94 percent of graduates earned job offers within three months of earning the degree, with 92 percent accepting those offers. The majority of recent graduates were employed in the technology industry, at 28 percent. Manufacturing was the second-most prolific hiring industry of Smeal full-time MBA grads at 16 percent, followed by consulting at 14 percent. Pennsylvania residents pay $25,430 for one year of tuition in the Penn State full-time MBA program, with out-of-state students paying $40,874. Additional fees and other expenses are as follows. An estimated 20 percent of incoming MBA students receive some kind of scholarship assistance, which is rewarded to tuition costs ranging from $7,500 to $20,000. Those who apply by the February deadline are automatically considered for available merit-based scholarships. The business school also offers numerous fellowship opportunities, including the Penn State Smeal MBA Fellows, Powerful Women Paving the Way Fellowship, the Maimuna Mijindadi Anyene Memorial Fellowship, and more. U.S. armed service members do not have to pay the requisite application fee for enrollment in the Smeal full-time MBA program, and may be eligible for the U.S. Government Yellow Ribbon Program. Penn State also partners with Teach for America and the Western NIS Enterprise Fund, which can help fund tuition costs.